Twilio, the communications software maker that had a strong IPO Thursday, drives roughly 15% of its revenue from a single customer, WhatsApp. What’s more worrying is that Twilio doesn’t have a long-term contract with WhatsApp, meaning it’s always under the risk of suddenly losing a big chunk of its revenue without advance notice, as warned in its regulatory filing. But Twilio’s CFO Lee Kirkpatrick downplayed those concerns, saying WhatsApp’s revenue pie doesn’t represent the most important part of its business. Instead, the company’s more focused on growing its most loyal customers who commit to 12-month contracts, looped under the “Base Revenue” category. Those “base” accounts comprise of most of Twilio’s revenue and are growing at a faster pace than customers that don’t commit to long-term contracts, like WhatsApp, mixed under the “Variable Revenue” category. “We run and plan our business on ‘base revenue,’ and while we’re happy WhatsApp’s on our platform, we really treat that business and revenue as gravy,” Kirkpatrick told Business Insider. 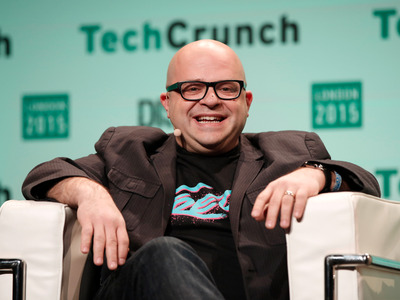 In fact, of the 28,000-plus Twilio customers, only 9 were in the “variable” category, representing 16% of its total revenue. And although “Variable” revenue spiked 129% in 2015, that was likely due to WhatsApp increasing its usage, not because the overall pie of non-long term contract users growing. On top of that, those “base” customers have proven to spend a lot more money on Twilio as the years go by. According to its filing, the customers who first signed up in 2012 more than doubled its spend by 2015, while those signed up in 2013 spent 2.7-times more by 2015. And the customers that first signed a long-term contract with Twilio in 2014 saw its spending jump a whopping 3.7X by 2015.